Sometimes, turning heel can change a career around. We are witnessing it happen once again with Sami Zayn, as his heel turn has garnered him a main event spot weekly so far and huge attention. There are many other instances where the heel turn worked wonders and today, I wanted to take a look at those instances. 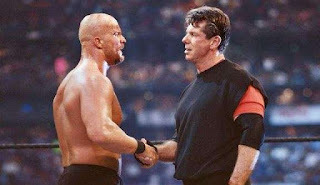 Let's look at 6 of the best heel turns in WWF/WWE history. -Many people hated this. I was in the minority who loved it. It changed the business. It elevated guys who had not been given the type of run they probably felt they deserved. Austin joining forces with Vince McMahon was risky and in a way unnecessary, but it worked out in the end, giving us the infamous "What" phrase and a number of classic moments and matches. Austin vs Benoit, Austin vs Jericho, Austin vs Angle, even Austin vs RVD was due to the heel turn. Austin and his heel turn might not be remembered as the greatest, but to me it's one of the most impactful and greatest turns ever. -When Jericho came back, he was essentially a rehashed version of Y2J and it just wasn't working as well. So, he gave himself new life by going against the one and only HBK and turning on him. This represented a different side of Jericho and would change his career forever. Unlike the Y2J heel from before who was smug and ridiculous, this was a different Jericho. Stoic, serious, and to the point, this version of Jericho was more menacing and probably the best run of his career, which makes this a huge heel turn and one of the most important. -Randy Savage was WWF Champion, but of course, there would be an issue between himself and Hulk Hogan, started mostly by perceived jealousy of Hogan and Miss Elizabeth. After the Mega Powers teamed for quite a while, they would end up breaking up just in time for Wrestlemania 5, and one of the biggest main events in WWF history would occur. It was the start of a huge heel run for Savage once again after a short face run side by side with Hogan. In many ways, I think Hogan should have been the one to turn, but WWF decided to go with the small tired outcome of Hogan going over at Mania and winning the title back. 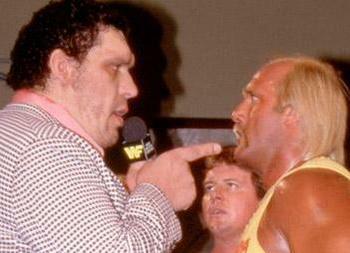 -It seems like Hogan always had someone turn on him to set up their next feuds. In this case, the Andre turn was huge, as he was one of the most popular wrestlers in the company, but once he got with Bobby Heenan, it seemed as if he began to make changes instantly. This heel turn led to one of the biggest main events and moments in WWF history, as we would get Hogan vs Andre in front of 90,000 people at Wrestlemania 3. Without Andre turning heel and ripping the chain off Hogan's neck, the intensity in the match and feud would have been much lower. This is a huge heel turn. -Of course, this was the turn that changed the career of Shawn Michaels. As a part of The Rockers, Shawn shined some, but the truth is, he was ready for his own spotlight. This would manifest itself through a Barber Shop segment where it seemed The Rockers put their differences aside and got back on track before Shawn delivered the superkick heard around the world. Then, he thr we Marty through the window of the shop, solidifying that moment in wrestling history. Without that heel turn, we might not have the prime era of the greatest wrestler to lace up the boots, The Heartbreak Kid. -This is my no. 1 choice for so many reasons. It was unexpected. It was risky, as Rock was getting over as a face, and he was a huge selling point of the entire Survivor Series 1998 tournament for the vacant WWF Title. I had no idea the show would end as it did, but with The Rock "selling out", we were treated to one of those rare moments where everything comes together perfectly. 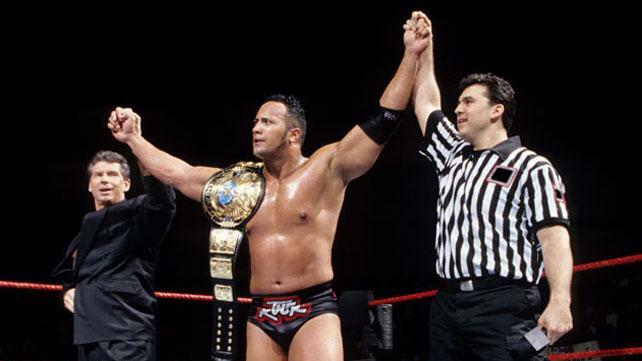 After aligning with Vince and Shane, The Rock would end up becoming WWF Champion, setting the tone for the future of his career, which of course is the most successful crossover wise of any wrestler, and without this moment, it wouldn't be possible honestly.